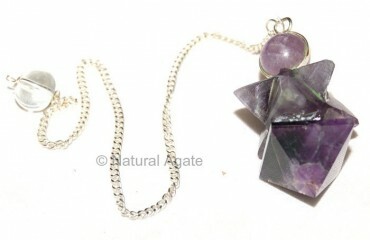 Amethyst Merkaba and Pyramid Pendulum by Natural Agate is power-packed pendulum. 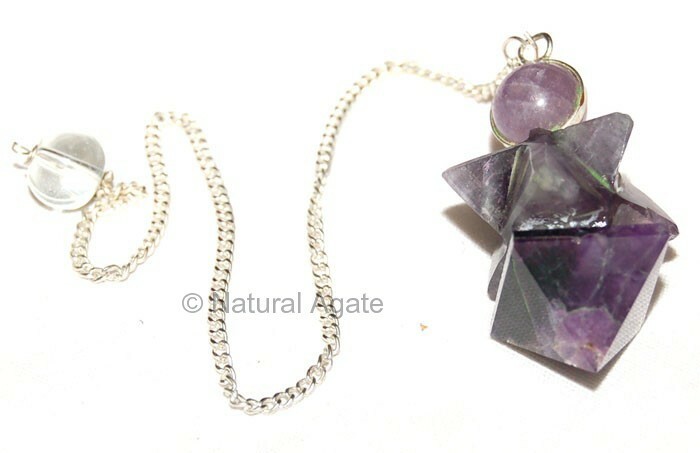 Energy from the divine light carried by merkaba star is stored in pyramid and is amplified manifolds. This energy can be used in meditation or in healing session.